Rinpoche requested Dan Goleman to give a talk summarizing the scientific research on meditation. Dan Goleman is a well known author, psychologist and science journalist, perhaps best known for his book on emotional intelligence. 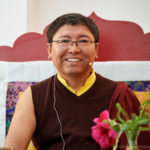 Judith Amtzis interviewed Lama Tashi for Levekunst after his 3-1/2 year retreat, much of which was spent with Mingyur Rinpoche. 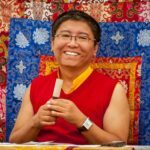 We are happy to share with you an article by Tsoknyi Rinpoche entitled Dzogchen: The Sky of Wisdom as published in the July 2014 issue of the Shambhala Sun. It’s free to download here: http://bit.ly/1neHz9g The PDF will automatically download onto your computer and includes a subscription offer the magazine, as well. Enjoy! 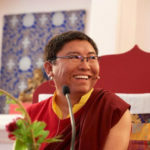 Click here to read “Reconnecting with Essence Love: A New Interview with Tsoknyi Rinpoche” by Danny Fisher, just posted just yesterday on Shambhala Sun online! Please click here to listen to a recently recorded audio talk with Rinpoche and Sharon Salzberg speaking about topics from his latest book Open Heart, Open Mind. They will be speaking together at Insight LA on May 17th at 7 p.m. also.